This past weekend, the moon ventured as close to our blue marble as its orbit allows. Meaning that at cozy 31,000 miles closer than normal, that supermoon gave us one hell of a show. And fortunately for us, you guys caught it all on film. 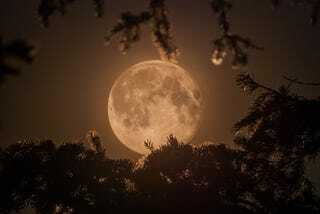 Yesterday, we asked you, dear readers, to show us the photos you snapped of Saturday's absolutely stunning display of lunar goodness, and as always, you did not disappoint. We've picked out the most impressive snapshots (and video!) below. But don't worry, even if you missed yesterday's call, it's never too late to show us what you've got in the comments below. Shot from Banff AB. - Steven R.